If the plans top British promoter Frank Warren has come to fruition, there will be a huge night for British heavyweight boxing taking place on October 29th. It will also be a huge night for the two Fury’s, Tyson and Hughie. 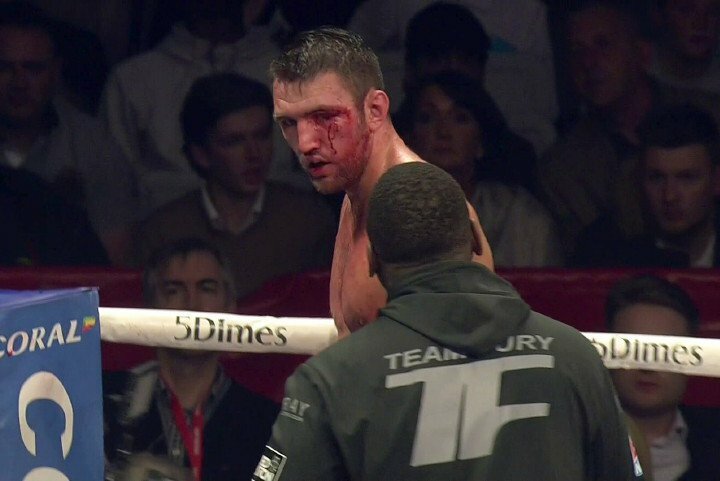 As fans know, Oct. 29 is the working date (still, despite all that has happened) for the eagerly awaited Fury-Klitschko II, and Warren has written in his column in The Star how this mega-fight will indeed happen – “I expect an announcement to confirm everything is going ahead as planned soon” – and that Hughie Fury will face unbeaten Mexican/American Andy Ruiz Jr on the under-card. The main event, the rematch of last November’s fight that saw Tyson Fury out-point Wladimir in Germany, is of course the big fight, but Hughie against Ruiz is an excellent match-up all by itself. Ruiz, a far better, faster, more talented and dangerous fighter than his physique would perhaps suggest, is 28-0(19) and he has turned over some good fighters in Joe Hanks and Tor Hamer. Warren has certainly pulled off something of a coup by getting Ruiz to come over to Manchester for his UK debut. The young Fury, who has undeniable skills, is seen by many as a genuine prospect, even a world title contender. If he can do a job on the heavy-handed Ruiz, fans in the US will no doubt take note. Interestingly, the Fury-Ruiz fight will see the winner emerge as the mandatory challenger for the WBO heavyweight title, which is currently held by…………….yes, Tyson Fury! Warren acknowledges how, if both Tyson and Hughie win in October, it could leave an interesting problem! But can Fury, both of them actually, get the win next month? It is reassuring how Warren has, well, reassured us that the big October card will indeed go ahead as scheduled. Fans have been waiting and waiting or Fury-Klitschko II, and now they have a great under-card fight to look forward to also.